Idea Movies and TV App is giving Free Internet Data and BookMyShow Vouchers to the Idea Users. If you are Idea users and wanted to get some Free Internet Data along with some other benefit like getting BookMyShow Vouchers(BMS) with just a mere Refer and Earn Program on Idea Movies & Tv App then you are good to go for that. As Idea has been struggling to keep their users to stick with them. That's why Idea has been experimenting with their idea prepaid data offers to cut off the prices in it so that Idea consumers can use their services apart from porting idea sim to other networks like Jio etc. In Refer and Earn Idea Movies Tv App you will get the dual benefit of data and "bookmyshow vouchers" as well. Previously, In idea, you have used that free internet trick of getting 500 MB data free of cost by just installing few apps of Idea. Like Idea official app, Idea Games app etc. Now you are again here to use the Idea Movies & Tv app to get the Free Internet Data and BookMyShow Vouchers with just referring this app to another idea users. That idea users can be your friends or relatives. 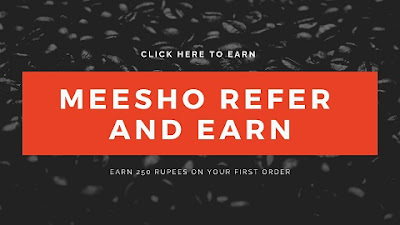 Reminding you again that you can also get some FreeCharge Cashback offer and Paytm Cash by Reading the below posts. To get this deal of Idea Free Internet trick and data offers using "Idea Movies & Tv App". You just have to Sign Up on Idea Movies App and then you have to refer this app to your friend. Means you have to ask them to Sign Up on the Idea Movies app using your invite link. First of all Download the Idea Movies Tv App. After downloading it, install the app. Now Enter your Idea Mobile number and Verify it with OTP. Now, wait for few hours you'll automatically get 512 MB + BookMyShow Vouchers on your registered idea number. Click on the Three Bars on the Top Left Corner. Click on it and Copy your Referral Link or Code GW9C8C. So far now you have known about this idea free bookmyshow voucher offers and how to get it from idea movies tv app. Now let's know how this BookMyShow vouchers and Free Data will work. So after referring this offer to your friends, you'll an SMS in few minutes and after that, you'll get other messages consisting the details of Free Internet Data Volume and BookMyShow Voucher Code. The BookMyShow Voucher codes which you'll get from the idea movies app. That'll be worth of 100 Rs on Minimum booking 2 tickets on BookMyShow website and App. The code will be active only for bookings made on Weekend i.e. Friday-Saturday-Sunday. Rest terms and Conditions are mentioned in the message which you'll get.